A very speckled starling in deep consideration of his next meal. 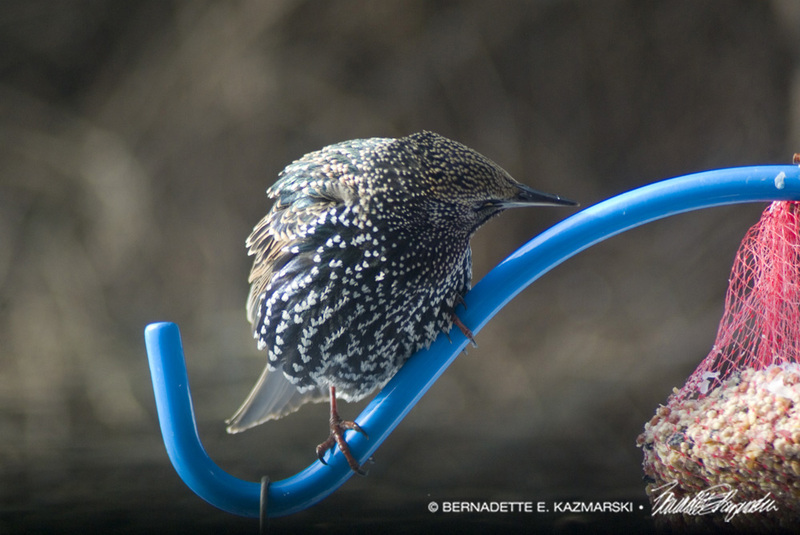 Though they can be pesty, cleaning out a feeder in minutes, or shredding a suet treat in seconds flat, they are very beautiful to look at, especially on a sunny winter afternoon. How do I get that thing? Thank you for visiting Lexy! 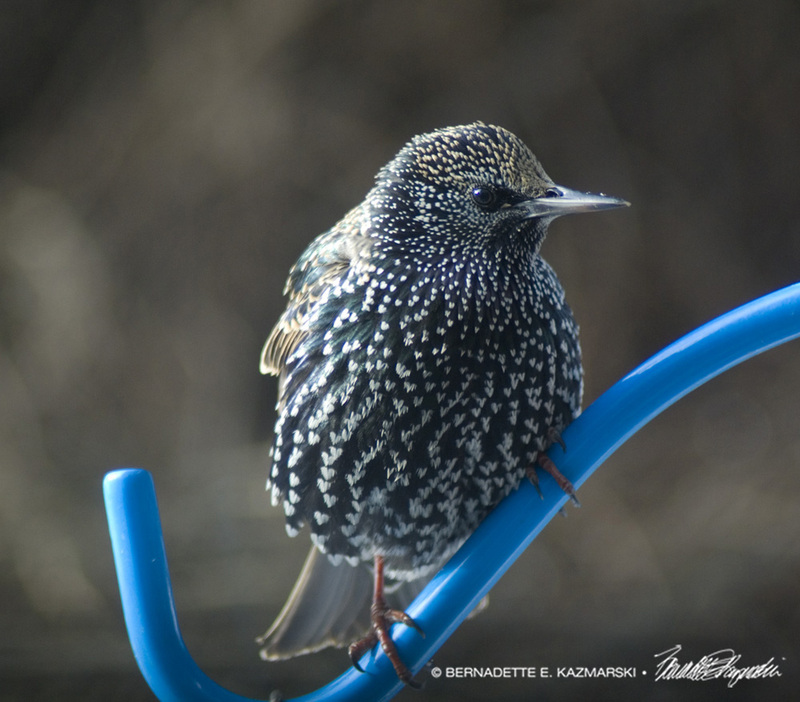 I get a little tired of the starlings, but seeing them up close I still find them fascinating.